When we think of the evangelistic challenge presented by ardent atheists, outreach to nominal Christians seems like a breeze. After all, nominal Christians have a positive view of the faith, enough of one to identify with Christianity. They’re not apt to rail against religion or deny the existence of God. When it comes to reaching them with the gospel, it’s tempting to think they just need a nudge. But actually, they might need a jolt. Nominalism is essentially a spiritual delusion. And it’s a particularly dangerous one, because it can inoculate against the real gospel. Atheists may be hostile to Christian faith, but at least they rightly understand their relationship to it. Nominal Christians, on the other hand, claim a Christian identity for a host of unbiblical reasons: “My grandma was a Baptist.” “I go to church on holidays.” “I’m a good person.” These misperceptions need to be sensitively but directly addressed with biblical truth. Luke 14 describes Jesus confronting a crowd of would-be followers with some sobering words. Turning to the “large crowds,” Jesus said, “If anyone comes to me and does not hate father and mother, wife and children, brothers and sisters—yes, even their own life—such a person cannot be my disciple. And whoever does not carry their cross and follow me cannot be my disciple” (26–27). We may balk at his approach. We instinctively want to make people comfortable and remove obstacles to faith. But on numerous occasions, Jesus made prospective followers decidedly uncomfortable and pointed out just how difficult it was to follow him. There’s still a place for this kind of frank conversation. Often, loving nominal Christians means presenting them with the hard truth of what it means to follow Jesus. Seeing their true spiritual status may be a necessary step toward faith. Don’t get me wrong. We shouldn’t needlessly offend. We must be winsome and wise in how we communicate the Christian message. 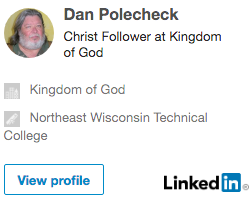 But at some point, like Jesus, we have to spell out what following him entails—and let the chips fall where they may. My prayer for the church is that we will cease perpetuating this great scandal. When faced with the all-or-nothing demands of the gospel, many nominal Christians will respond with genuine faith. Others will walk away. But at least they will go freed from the delusion that blinds them to their true need for Christ. Posted on 6 Apr 2014 by Crusty	• This entry was posted in Faith and tagged Christianity. Bookmark the permalink.